This small, friendly market features a team of vendors that have been together for 15 years. With meat, cheese, bread, produce, & prepared foods, the market has a wide selection to set you up for a day trip or for the week. Plan to stay a while to enjoy the live acoustic music at this summer market by the water in Winter Harbor. Cyclists are resoundingly welcomed at this market! Outdoor activities near the market: This market is located across the street from the boat landing, where visitors can take a stroll along the water. Winter Harbor offers breathtaking views of the mountains of Acadia National Park, & easy access to the Schoodic loop of the park. 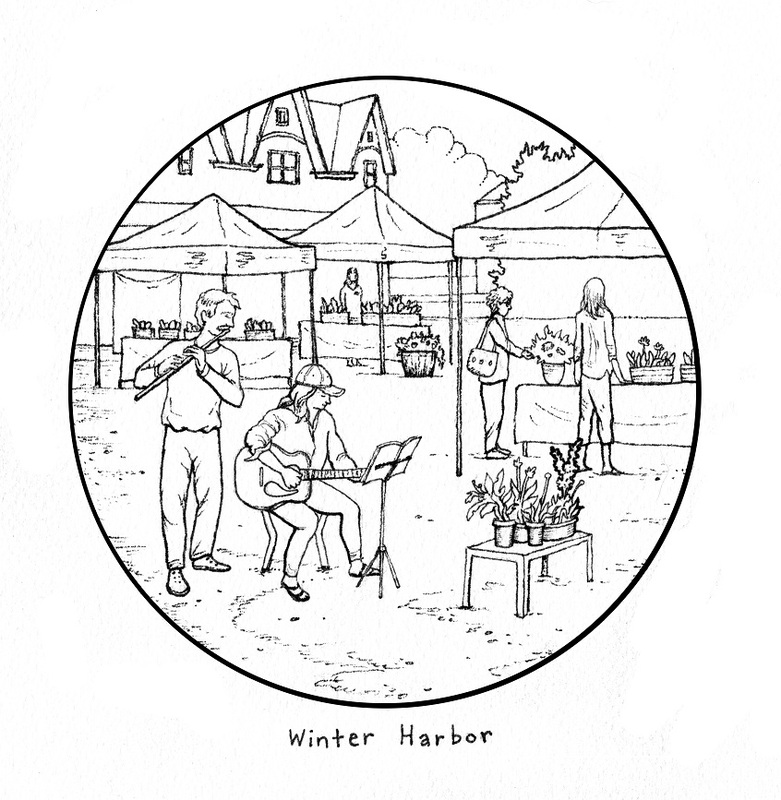 Indoor activity: Winter Harbor Farmers’ Market coloring page here.